When the fleet of Lunars (the Natives of Moon Beta) escaped their homeworld, running from the merciless colonization forces of Nova Prime and Jhiaxus, there was just one Junkion Shaman on board. But right before crashing in the Junklands, the wrecks of their ships crossed something in the atmosphere. They didn't know what it was: a current of primordial energy erupting from the very core of Cybertron, maybe, or a stream of quantum particles generating from the boiling quark-gel of the approaching Moon Epsilon. Whatever the cause, the Shaman took the full brunt of this wave, and the few witnesses saw his body go crazy. In a matter of seconds, where there was one before, now there were two-- two Shamans, sharing one twisted body with eight arms, an impossibly large head, four eyes, two mouth-- both screaming for release. As the wreck of the ship burned in the free fall, the Shamans disappeared in the fire. When the survivors of the crash gathered, the Shamans appeared. Now two distinct beings, they had clashing opinions about how to survive the Junklands. Without ever addressing the mystery of their birth (or was it a spawning? ), the Shaman left, in a mission to locate the source of the energy wave that split him into two beings. 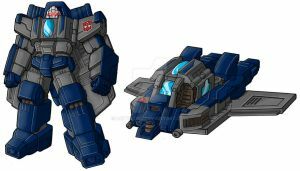 The Shaman believed that this force came from the living spirit of Cybertron-- Primus, and that he could be found somewhere within the Junklands. As he headed west, he left his twin with the task of taking care of the other Junkions, not as a leader, but as a moral compass, helping them face the many challenges that their new home would bring. And that the Shaman of the East did, taking his name from the fact that his twin went West: he was the one who shaped the Junkions into the merciless, but just tribe that they are today. We've seen femal Junkions before. I don't remember them being quiet so, urm fragmented. Sorry, I missed the second part: yes, these Junkions are yet not still as evolved as their G1 counterparts. Some of them have absorbed enough Cybertronian parts to be actual Transfromers; other are still at Lunar level, even though with a heavily altered body. Yes, there's one among the Junkions, as a Lunar recycled one of the "experiments" that Jhiaxus disposed of by throwing her in the Junklands. The Shaman, though, is not that Lunar, and it's genderless.